This post is sponsored by Moore’s. Sponsored posts, along with affiliate links, are what enable bloggers like me to maintain and operate sites that are free to the public. That said, I only work with products and brands that I personally use and would feel proud to give as a gift. Chicken wings are one of my favorite things. I love eating them at tailgates, while watching a movie, while taking a shower—ok, maybe not while I’m taking a shower but you get the point. I’m a man who likes a chicken wing. 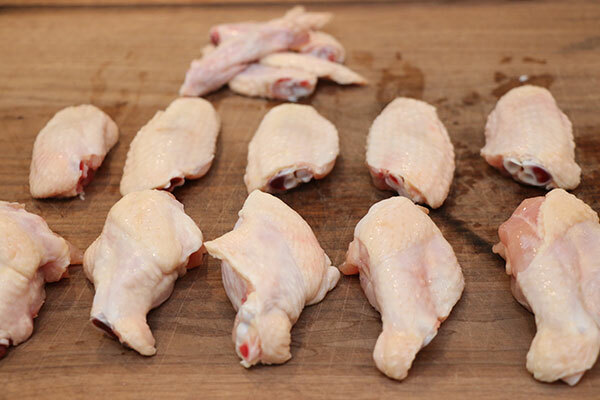 Traditionally, wings are deep fried for that nice crispy skin, then tossed in whatever sauce is desired. While I don’t have anything against deep frying, it does make for quite a mess to clean up and I try to avoid that when I can. 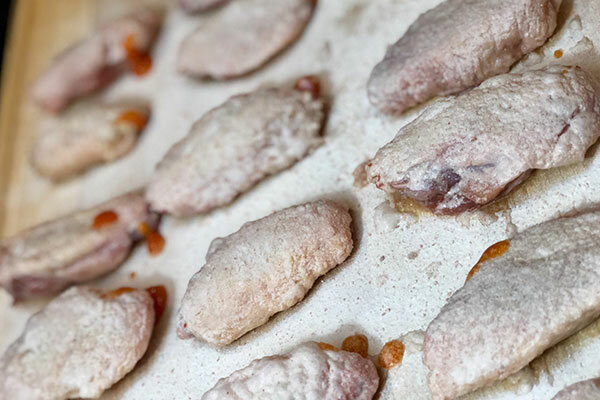 The most common alternative is to bake the wings, but that technique yields rubbery skin and an unpleasant wing experience. Enter: grilled crispy wings! Try this recipe below and I promise you’ll be a believer. It’s so simple, crispy, and (as wings go) healthy. 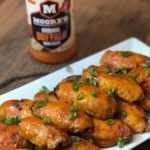 I am a huge fan of the Buffalo Wing Sauce from Moore’s and have been since way before they became a sponsor. They have an impressive lineup, and if you’re feeling courageous, you can substitute the wing sauce for the Spicy Habanero sauce which provides some serious heat. 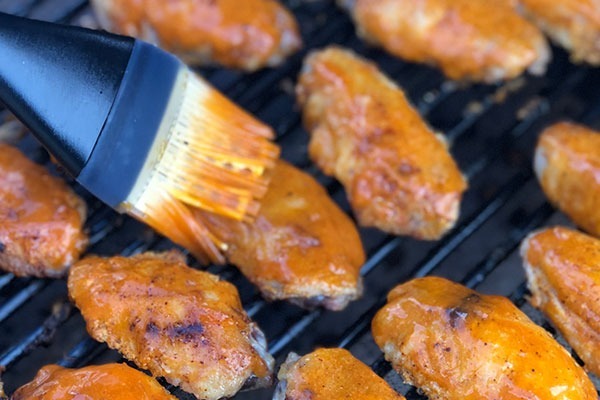 If you’re not a fan of the heat, try the Honey Barbeque… all three marinades will make your wings show-stoppers. Step 1: Prep cooker to 375°F and set up two-zone heat. Step 2: Remove wings from the package and pat dry. 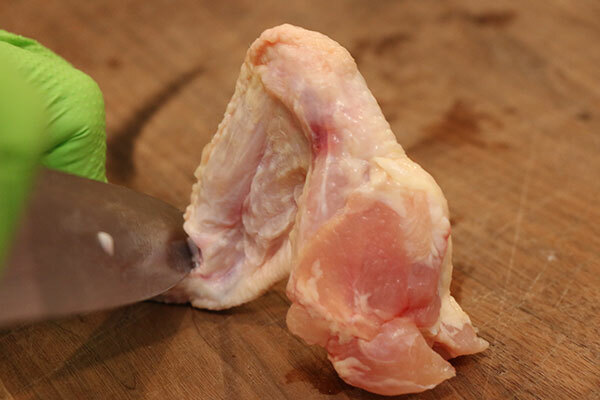 Chicken is something you don’t want to risk contamination with so be sure to wear protective gloves or be prepared to wash your hands often with antibacterial soap. Step 3: Cut up the wings. This is optional, some people (like me) prefer whole wings and there is some meat in the wing tips. Most people, however, prefer a flat or a drumstick so I divided these. You can buy them already divided, I just find whole wings to be bigger and a lot less expensive. Step 4: Inject the wings with Moore’s Marinade Buffalo Wing Sauce. This is a step most people don’t do, but you’ll thank me for it if you really love buffalo sauce. It’s an added burst of flavor that your guests will love. Step 5: Mix together baking powder and salt, then dust it over the wings. You want to be sure you lightly coat the wings. This is going to help dry the skin out and will allow for a crisp wing without the deep frying. Wait… did I just offer a healthy alternative? Step 6: Place your wood chunks on the hot coals. Step 7: Place wings on the grill, over direct heat and turn every few minutes. You don’t want them to burn, just get a nice char on them. 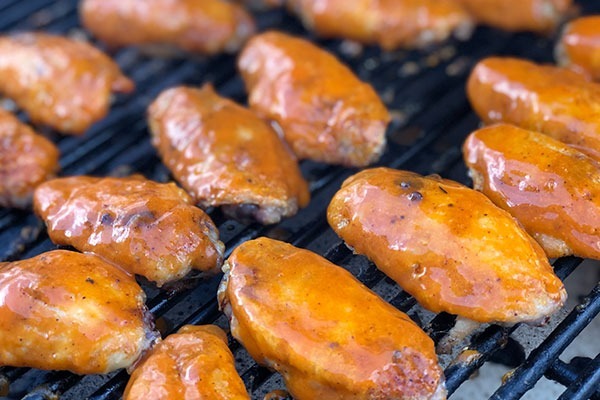 When your wings get to about 150-degrees F (I check them with my Thermoworks Thermapen) move them to indirect heat and coat them with Moore’s Marinade Buffalo Wing Sauce. Step 8: While using indirect heat, let the sauce set up until internal temp reaches 165-degrees F. This will take about 10 minutes. Step 9: Remove from grill, plate and serve with your favorite dip. Prep cooker to 375°F and set up for two-zone heat. Remove wings from the package and pat dry. 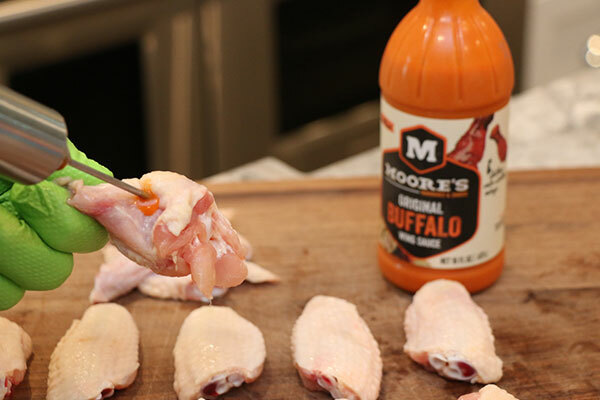 Inject the wings with Moore’s Buffalo Wing Sauce. Mix together baking powder and salt and dust it over the wings. 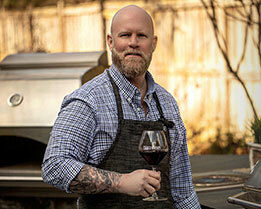 Place your wood chunks on the hot coals. Place wings on the grill, over direct heat and turn every few minutes. 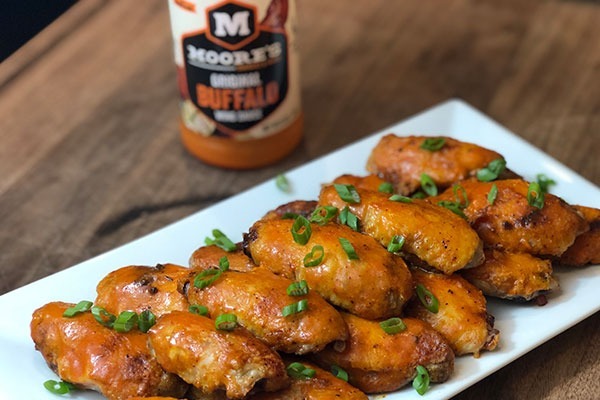 When your wings get to about 150-degrees F, move them to indirect heat and coat them with Moore’s Buffalo Wing Sauce. While using indirect heat, let the sauce set up until internal temp reaches 165 degrees, this will take about 10 minutes. Remove from grill, plate and serve with your favorite dip.